What’s in a veg bag? Workshare – work in exchange for your veg. The basic principle which most CSAs share is that members pay a share of the costs of producing their food in return for a regular share of the harvest. With no middleman and minimal distribution the food should be good value for money whist paying the farmer a fair price. In an age when we often here news stories about the questionable quality or origin of the food we eat CSA offers food from a known source. Most CSAs allow members to get to know the people who grow their food, visit the farm and observe the methods of production at open days and farm walks. This gives consumers confidence in the quality of the their food and trust in the people who produce it. Many schemes, including Bennison Farm CSA, give members the opportunity to get involved in producing their food. At workdays members can help out with tasks on the farm. The farm benefits from the extra labour which helps keep costs down. Members get to enjoy some fresh air and a bit of exercise in the country side and learn about what it takes to produce their food. With no middle man CSA provides an opportunity for direct communication between producer and consumer. This makes it much easier for consumers to give feedback about the product or service and for the farmer to respond. In addition to workdays, social events such as barbeques, bonfires and picnics allow members to get to know one another and relax and enjoy spending time together outdoors. This helps to build a community around the farm which helps keep a stable customer base for the farmer. 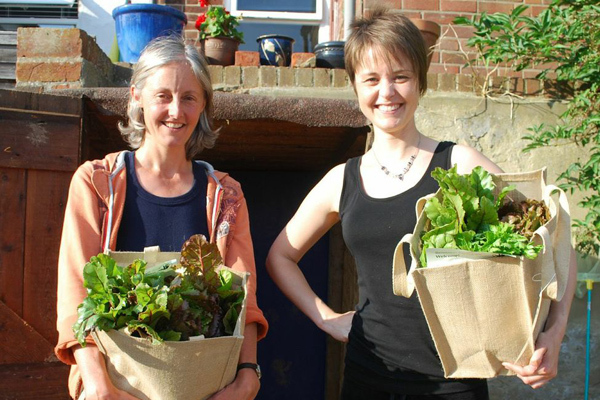 Find out how our CSA scheme works.